On November 28, 2017, North Korea conducted a successful test of the Hwasong-15 intercontinental ballistic missile (ICBM), the final and longest of twenty-three missile tests conducted last year. U.S. Defense Secretary Jim Mattis said the missile “can threaten everywhere in the world, basically.” North Korean leader Kim Jong-un said the tests had proved “before the eyes of the world” North Korea’s development of a nuclear deterrent. 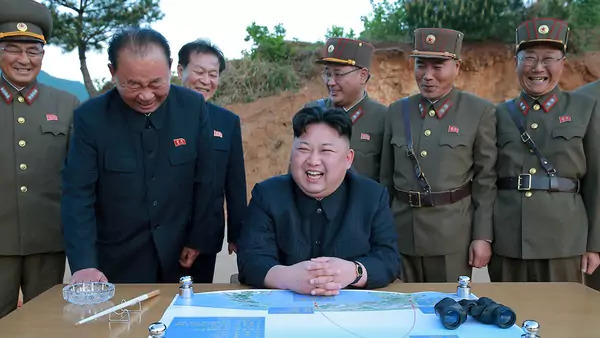 North Korea’s testing successes spurred a diplomatic charm offensive in 2018, designed both to normalize North Korea as a nuclear state and to break free from the U.S.-led “maximum pressure” of tightening economic sanctions. The surge in diplomacy laid to rest immediate concerns about escalation toward conflict, but aside from a pause in testing there has been scant progress toward a denuclearization process sought by the United States and its allies. The bottom line: North Korea has not moved to diminish its nuclear capabilities or to affirm convincingly to outside observers a commitment to denuclearization. The International Atomic Energy Agency stated in its August 2018 annual report that the “continuation and further development of the DPRK’s nuclear programme and related statements by the DPRK are a cause for grave concern.” Andrea Berger of the Middlebury Institute of International Studies at Monterey*, speaking at a November 15 event in Ottawa, described North Korea’s unilateral measures as a show of selective transparency conducted in a remotely verifiable manner. But these steps may be easily reversible and do not meet international expectations for verification. Intelligence agencies assess that North Korea has continued work on its nuclear and missile programs in 2018, despite Kim’s public emphasis on economic development—dropping the nuclear development objective—at an April 2018 plenary session of the Korean Worker’s Party. Media reports indicate North Korea may be conducting uranium enrichment at Kangson and has continued to develop twenty or more sites capable of launching mobile missiles to ensure second-strike capability in the event of an attack on North Korea. The U.S. government assesses that North Korea may have twenty to sixty nuclear devices and a proven ICBM capability, but it is not yet proven that North Korean ICBMs are capable of reentering the atmosphere without burning up in flight. The September inter-Korean summit in Pyongyang has resulted in significant steps toward reduction of inter-Korean tensions in the form of the removal of guard posts in the demilitarized zone, establishment of joint demining and efforts to recover the bodies of North and South Korean soldiers from the Korean War, and the implementation of no-fly, no-sail, and no-exercise zones adjacent to the inter-Korean border. The U.S. Treasury Department continues to strengthen unilateral sanctions, such as restricting banks from undertaking international transactions with North Korea, through enforcement of the North Korea Sanctions and Policy Enhancement Act. UN Security Council resolutions restricting North Korea’s international trade remain in place in response to successive nuclear and missile tests during the past decade. Special waivers for specific categories of trade—for instance, a joint inter-Korean railway survey—have been issued by a UN committee that oversees the sanctions. North Korea has increasingly complained that without easing of sanctions, it will be impossible to build the trust necessary to reduce hostility and enable North Korean steps toward denuclearization. Most ominously, North Korea has signaled a return to the policy of simultaneous development of economic and nuclear capabilities, possibly implying resumed testing if diplomatic progress remains stalemated. *Editor’s note: A previous version incorrectly referred to the Middlebury Institute of International Studies at Monterey as the Monterey Institute.